Waitlist season is starting for law school applicants. Chances are you are on one or will be soon. That or you’ll be “deferred”, on “hold”, “reserve” or one of the other terms that law schools come up with to soften the blow. You should definitely not feel bad about being waitlisted — it’s just a part of the law school admissions game these days. Also DO NOT make the mistake of thinking the waitlist is just a polite form of rejection. It’s not necessarily easy, but you can get in after being put in the waiting line. So how do you do it without intimidating the admissions officers? If you are waitlisted for a “reach school,” a school where your numbers would be considered low, we’ll give you some tips on how to turn a waitlist into an acceptance. I’ll be painfully honest here: if you are on the waitlist, more often than not it’s because the law school thinks they might be able to get someone with better numbers to attend. Surprisingly, that’s not a reason for total despair. They may not be able to get these unknown better-numbered people to come, in which case you are in a great position to get in (provided you do the right things). Let’s talk more about how waitlists work. How Do Law School Waitlists Work? There are two main reasons waitlist exist. We already mentioned numbers — throughout the application cycle, a law school runs continuous projections about how many people will attend, how many more applications they can expect, etc. They’ll use these projections to try to accept just the right number of students (with the right numbers) to fill the incoming class. However, no matter how carefully they make their predictions, they might end up with fewer people signing up to attend than they need. At that point, they can dip back in to the waitlist pool and grab a few more happy students out to fill the empty seats. That might make it sound like they aren’t even going to touch the waitlist if they don’t have to. Luckily, that’s typically not how it works. Taking people off the waitlist is part of their calculation about how they are going to form a class. They know that they are going to take some people off the waitlist, they just don’t know how many yet. The other reason for waitlists, beyond numbers, is that they are used to balance out the class in one way or another. The adcomms may decide they need more people with X characteristic, and will go to the waitlist to get it. Perhaps they don’t have enough math and science majors matriculating, for example. There is another reason you might get waitlisted: you may have heard about something called “yield protect.” This can happen if your numbers are really, really strong for a school. They’ll wait for you to express a genuine interest in coming before extending an offer. It’s a way of keeping the number of students they admit down, which makes them appear more selective. While law schools claim they don’t do this, they definitely do (law schools are not known for truthfulness). Luckily, when that happens it’s a pretty easy fix: if you really want to go to that school still, just send them a letter of continued interest (LOCI). We’ll talk about yield protection more in an upcoming post. Today’s topic is more about getting into reach schools. It should be clear that, for better or worse, there is a certain amount of luck involved in getting off a wait/hold/deferred list. Say for example you have a really great LSAT score but a lowish GPA. If not enough high LSATers accept the law school’s offer as spring rolls on, you are going to get the nod. If instead they need more high GPA students, you may be out of luck for this year. Typically you can get off a waitlist anytime from about April to when classes start. The annoying/expensive thing: that means seat deposit deadlines have already passed at just about every school. So how does that work? Do you have to withdraw from waitlists when you put down a seat deposit? Luckily, no. At the deadline, you can simply put down your seat deposit at the school you most want to attend. This does mean you have to reject the offers of any other schools where you have already been accepted. You can, however, choose to remain on any waitlists. If you are later accepted to another school off the waitlist, you may attend there instead of where you have deposited. It’s totally normal and happens all the time. It will mean losing your seat deposit, but if it’s your dream school we are talking about switching too, that’s not going to be the worst thing in the world. Now let’s talk about how to make that happen. 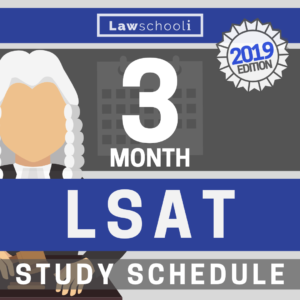 Schools will consider a June LSAT if you are on their waitlist. Well no one wants to retake the LSAT if they don’t have to, it’s the single best way to completely remake yourself as an applicant. As such, we can’t ignore the option to retake. Get a significantly higher LSAT and all of a sudden it’s you calling shots. I’ve known people to get off the waitlist with big scholarships even. 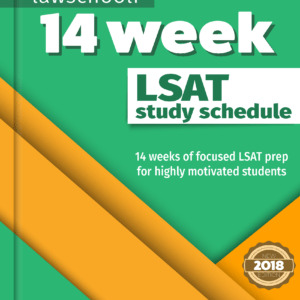 If you have good reasons to believe you can do better on the LSAT (see our post on retaking the LSAT for help with deciding), then there is no single other thing that can do more to boost your chances. If you really think you can improve, even by a couple points, don’t avoid doing it out of sheer laziness. There is little downside other than the effort required — no school that has made you an offer is going to rescind it just because you do worse on the LSAT in June. You have my word on that. It has just never happened, ever. Say you do this an absolutely crush your retake, like make a 4 point boost or more. At that point, your more difficult decision is whether to accept all the offers that flow in now or wait and reapply early the following year, which would probably put you in the absolute best spot. This would be a good problem to have, so definitely consider a retake. With a better score, you can completely overhaul your results, even late in the game. Now, if you think you’ve already put the max effort into the LSAT, we need some other solutions.This is where the real dance begins. First and foremost, it is absolutely critical to express interest in the school. Former law school admissions dean Ann Levine says, “If you do absolutely nothing beyond accepting your place on the waiting list, you will not get into the law school.” (If you haven’t heard of Ann Levine, her book on admissions, The Law School Admissions Game, is considered required reading for law school applicants). Levine explains that keeping their enrollment figures high is super important to the schools. By the time they start pulling people off the waitlist, they only want to extend offers to people they know will come. Your entire goal at this point is to show the target school that you want to come without annoying the hell out of them. Put yourself it the admissions dean’s shoes — would you want to admit someone who is sending desperate letters every week? No way. The admissions dean is trying to find people who know how to handle themselves and communicate professionally. One way to do this is with a letter of continued interest (often called a LOCI for short). If you would attend a school if they accept you, then you should, in no uncertain terms, communicate that to admissions office using a LOCI. This is just a short, straightforward letter expressing that you still want to attend. The typical length is one page-double spaced. While that’s a soft limit, I really wouldn’t suggest going over it. Less is okay too. Just state that you want to attend the school and give your honest reasons why. If you are waitlisted early in the game, I would wait before sending it in. The best timing in my opinion is to send it just before they start reviewing waitlisted applicants. If your original waitlist communication didn’t say when that is, you can ask someone at the school’s office. If you are waitlisted in June or later, it’s probably okay to send it right after you get waitlisted. The letter doesn’t have to be a masterpiece, but make sure it is well written and professional. Do not make the mistake of making up reasons why you want to attend (i.e. saying you are interested in doing a dual degree when in fact you are not). You should be able to back up your reasons for attending with specific information from your personal history. Be sincere and your interest will get a better reception. At the same time you send the LOCI, you may want to update the school with anything major that has happened to you academically or professionally since you sent in your app. If you are a graduating senior, you certainly want to send them your updated transcript if your grades have improved (note: if you were really trying to get in to the school of your dreams, then your grades should have improved, or stayed stellar if they already were. There is no such thing as senioritis for law school applicants). Use your judgment. Law schools probably won’t care/might think you are weird if you update them on little. However, if you got a new job with major responsibilities, a promotion in work, or did something major for a volunteer organization, that can be worth an update. Some people suggest sending in extra letters of recommendation. I think that this is iffy since LORs don’t play a huge role in admissions anyways. However, if you think it can address some specific perceived weakness in your application, you can give it a try. Follow the rule of thumb that LORs should only come from people who know you very well, not from prominent judges or business people that your Mom or Dad know. Nepotism is dead, so don’t try to revive it. No matter what, keep your communiques with the law school reasonably spaced out, like a month or more in between. You don’t want to barrage them with information, letters, supplemental essays, etc. Think about it like someone you are trying to date — the crazy approach only works in the movies. This is a situation calls for tact. This, in my opinion, is the single best way to show you are interested. Adcomms are always happy to show off the school, and are happy that your want to see it. While you should not ask for an interview, certainly let them know you are coming and ask how to best see the school, and they’ll generally guide you from there. Seeing a 1L class is a great way to get a feel for a school, so definitely ask if that will be possible. It was a common enough occurrence for us to see a prospective or two sitting at the back of the class, so don’t worry that this will be strange. If you really, really want into a specific school, I think it’s not too late to solicit some outside help. An admissions counselor can make sure you are playing your cards perfectly here, and will keep you on the right side of interested vs. crazy stalker. This can include reviewing your additional submissions and counseling you on when to send what. The aforementioned Ann Levine is our personal favorite in the biz. Anna Ivey is another well known counselor. It shouldn’t be terribly expensive to consult on just getting off the waitlist, so if you really want the best chance possible, I’d give it a go. Waitlists are tough on the nerves. I’m sure many of you will just want the decision to be over and will just withdraw from them. If you really want to get into a certain school, however, we suggest you ride it out. Riding the waitlists is certainly better than attending somewhere you don’t want to go. On that, remember our other advice: it’s better to wait a year and boost your qualifications than attend a school that isn’t what you had envisioned for yourself. We have a post on waiting and reapplying here, so review that if you think you may be able to do better next year. This article was a great resource and thank you for that! I have been waitlisted at my top two choices for fall admissions. I am unsure about what to do now. I have sent both schools a letter of continued interest in the school, but is there more I can do besides sending an updated transcript and possibly another letter of recommendation? Thank you so much for your posts! They have really guided me through the admission process. I was recently waitlisted at my dream school – Northwestern. A delightful surprise as my LSAT is much lower than the median. I have been accepted to top 20 schools although I would love to attend Northwestern this fall. 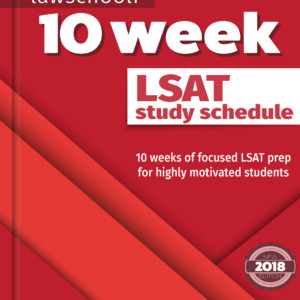 Is it worth taking the LSAT even if I am not sure I will increase my score to the median? Should I send a LCI prior to the June LSAT? If so what should I send with the LCI? The waitlist is unranked and i hope to set myself apart. Do visits actually make a a difference? Thank you for all of the information on your site. It has been quite helpful as I navigate the admissions process. I have been waitlisted at several T10 schools. I started the first steps of the “dance” by submitting LOCIs. My next step is to visit the schools, and I was given the advice to meet with an adcomm to ensure the visit “counts” in your favor and to sit in on a class. Unfortunately, one school’s admissions office is, understandably, not taking any more meetings until after classes have ended. Do you think it is more important to visit and sit in on a class, or should I wait and have a meeting with an adcomm. This school is my top choice and I want to maximize my chance of admittance. First off I would like to say thank you for all of your advice, it has been very helpful throughout the application process. Today I was waitlisted for UC Irvine (they say they do not rank the waitlist, if that makes any difference). My top choice was UCLA, but I would be very happy to go to UCI. I did not do as well on the LSAT as I was expecting (163). My practice test average (with Test Masters) was a shade above 169, and my final practice tests were between 170-174 consistently. But, I had a bad test day. I was honestly expecting to be rejected from UCI, and retake the LSAT in June to get closer to my practice score. But, now that I have been waitlisted I have a small amount of hope. I would prefer to not retake the LSAT and attend UCI, if that is in the cards. However, I am more then willing to put in the effort to get back to my average practice score, and reapply next year. My plan to give myself the best chance to get off the waitlist is to first schedule a visit sometime in the next few weeks to show my interest, and hopefully put a face to my application. They stated in my letter that they would begin reviewing the waitlist later in the spring. So I would submit a letter of continued interest in a few months, where I would explain that I am 100% going to attend if offered admissions. Do you think this is a good course of action, and do you have any additional advice specific to my situation? Also, do you think that this waitlist offer can shed any light on my chances at schools that have LSAT/GPA averages lower than UCI, which I have not yet heard back from? Have you heard back from UCI? I have also been placed on the waitlist and was wondering about your results. Hi there! Great blog first of all! So I got waitlisted at a T14 school and I’ve been told that I’m placed in this special group on the wait list. My GPA is >75% and LSAT is below median, and I recently wrote a LOCI as well. Firstly, do rankings within the wait list really help or hurt you in terms of being accepted? Hi Zoe, your position on waitlists is often ranked and yes it does matter greatly. Some schools are really open about where you stand whereas others… not so much. Try googling a bit and you can usually find out whether the school will tell you or not. Stay encouraged Zoe, it sounds like you have a pretty good shot to get off. I think this will be a good year for getting off waitlists as fewer people applied than expected.